Kichaka Vadha (the killing of Kichaka) is an episode from the Mahabharata concerned with the consequence of the exile of Draupadi and the Pandavas from Hastinapura for thirteen years. The first twelve years were spent in a forest and the final year in disguise in the city of Viratanagara. A condition of the original agreement stated that if they were discovered during this period of disguise they would be required to spend another twelve years in the forest. During this period, Kichaka, the queen of brother Sudeshana (in whose employ Draupadi then was), returned to Viratanagara and was attracted to a beautiful Sairandhari (tire-woman) who, unbeknown to him, was Draupadi in disguise. Kichaka requested her to be sent to his harem and Yudhistira (the eldest of the five Pandavas) then faced the dilemma of revealing his identity or Draupadi’s degradation. The dilemma was resolved by Bhima’s decision to kill Kichaka secretly. 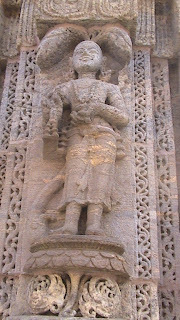 The story of Kichaka Vadha was found as a major attraction for the traditional theatre in Maharashtra towards the beginning of the 20th century. 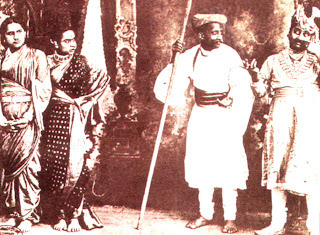 Kichaka Vadha was performed throughout Bombay and the Deccan to houses packed with large native audiences, until it was banned in January 1910. Why was it banned? Because, the performance of Kichaka Vadha was meant to excite the lowest classes against the British rule, who would not be reached by newspaper or meetings. It had a message to give to the people of Maharashtra who were then, like the rest of India, downtrodden by the foreign rule. INDIA DIVIDED (NORTH AND SOUTH) AND THE CAUSE - THE MOHENJODARO SKELETONS! We all learnt in schools about Aryan invasion. India was invaded and conquered by the nomadic light skinned Indo-European tribes, the Aryans from Central Asia around 1500 BC, who overthrew an earlier and more advanced dark skinned Dravidian Civilisation. In the 19th century, it was believed to be the Aryan migration, not invasion. Europeans saw Sanskrit identical with many European languages, and based on Biblical model of human migration, Max Muller estimated the date of migration to be around 1500-1200 BC. 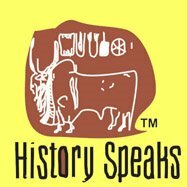 With the discovery of Indus Valley Civilisation in 1920s, the theory turned from ‘migration’ to ‘invasion’. The war between light and dark skinned people was highlighted after this discovery, which in coarse of time led to the NORTH AND SOUTH INDIA DIVIDE (based on race). 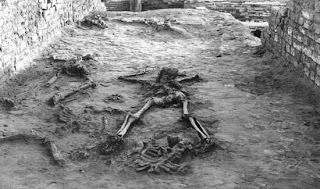 And what were the evidences – a few human skeletons found in the excavated sites of Mohenjodaro and Harappa. The skeletons are no longer taken as a proof of the Aryan invasion theory. Rather, they are interpreted in a different manner. February 2004…the Pulitzer Prize winner writer Thomas Friedman visits Bangalore to shoot a documentary on Bangalore's global connection. He visits Nandan Nilkeni, the CEO of Infosys at Infosys's campus and discovers the title for his best selling book on globalisation 'World is Flat'. Nilkeni shows him a massive wall-sized screen, the largest in Asia, which could hold a virtual meeting of global clients at any time. He says: "We could be sitting here, somebody from New York, London, Boston, San Francisco, all live. And may be the implementation is in Singapore, so the Singapore person could also be live here. That's globalisation". Today, Bangalore is truly perceived as a global city providing a platform where intellectual work and intellectual capital could be produced, processed and delivered to anywhere in the world. 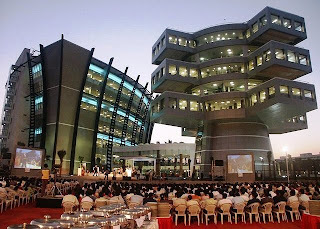 Keeping apart the knowledge capital, Bangalore is also a global outsourcing hub. Today, 'Bangalored' is a popular American slang, which means youare 'outsourced'. Bangalore's connection to the wider world is not a recent phenomenon. In 1781, Lord Cornwallis was defeated by a combined American and French Force at the seize of York Town, widely considered as the end of the American revolutionary war. 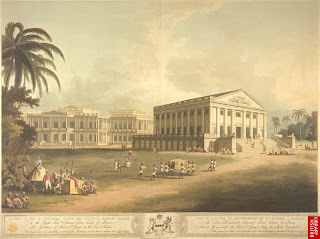 He regained his pride more than a decade later in 1793 when he promulgated the permanent settlement between the East India Company and the Bengali landlords, paving the way to a larger occupying story by the British in India. Imagine if the fog had not descended on Boston harbour and if the British had defeated General Washington – the histories of America and India may have taken a different turn. 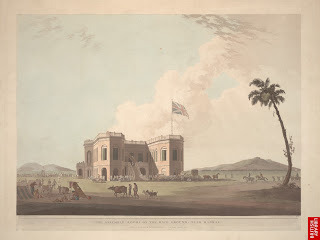 Lord Cornwallis arrived at Madras on 12th December 1790. On the 29th of January, he assumed the command at Vellout, where the army had been assembled a few days before, and on February 5th 1791, moved towards Vellore. His intention was to besiege Bangalore. On the 5th of March Bangalore was invested, and seized, from the hands of Tipu. In this successful operation, great military skill was exhibited which animated the whole army with confidence. 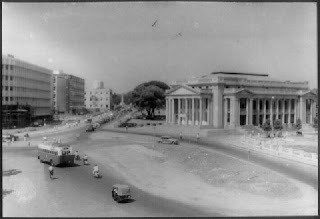 Bangalore's cantonment, especially today's Mahatma Gandhi Road (MG Road) was a hilly terrain then. 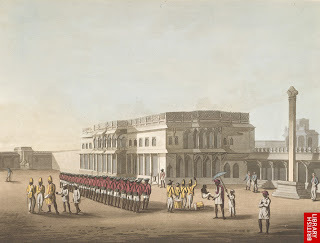 It is said that Cornwallis's army marched on this patch of Bangalore for the attack. In 1799, Tipu was defeated. The mosquitoes drove the British out of Srirangapattana and they barracked Bangalore cantonment. The seed of Bangalore’s globalisation had been sown even earlier to this event. Hyder Ali, the ruler of Mysore was a brave military genius and cunning. He was both forward looking and appreciator of beauty. He welcomed innovations in all quarters and therefore recruited Portuguese and French soldiers in his army to achieve better results at warfare with their help. He employed skilled Frenchmen to supervise stockpiles of sophisticated military equipment. 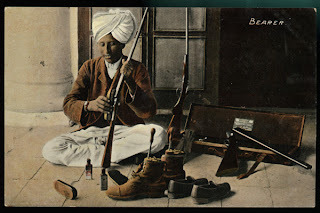 Great quantities of gun powder, canon bullets and arms were kept busy making swords and brass guns respectively. Tipu also inherited his father’s quality; retained Hyder’s faiths in French mercenaries and weaponry. Under Tipu’s rule Bangalore and its surrounding went through rapid industrialization. 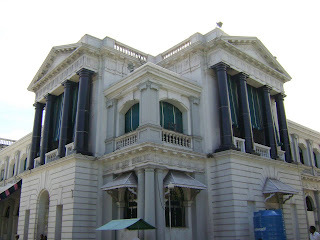 Factories in Chennapatna produced high quality glassware and sugar. 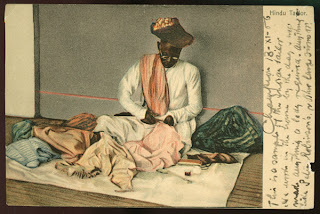 Fine cotton cloths were being woven in Sarjapur. Tipu established trade links with many countries like France, China, Turkey, Iran, Egypt and Arabia. He even owned facilities in places such as Muscat, Jeddah, Basra and Aden. 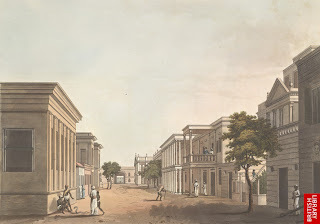 Under his rule, Bangalore became one of the important cities of the east. Bangalore was founded by Kempe Godwa I, a chieftain of Yelhanka (now a suburb of Bangalore) under the aegis of Achyutadeva Raya, the ruler of the Vijaynagar Empire. 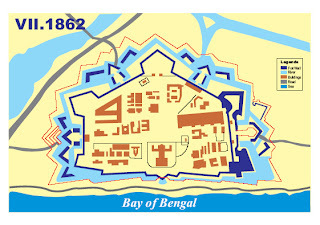 Kempe Godwa I began the building of the city by constructing a mud fort of oval shape. He built temples, tanks and planned residential layouts. His successor Kempe Gowda II carried forward his father’s work; built watch towers for keeping guard over the city, vastly improved the irrigation facilities and made improvements to the existing temples. 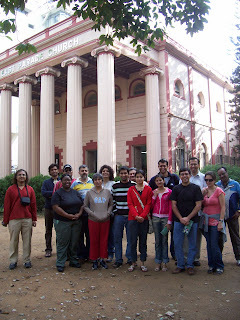 On 23rd December 2007, I walked on Bangalore’s MG Road in a history trail with Rupa Pai of Bangalore Walk (www.bangalorewalks.com) along with 16 other interesting souls. The morning was quite and pleasant. I got down at Trinity Church, which I was told to reach around 7 AM. I reached the gate around 6.30, was surprised not seeing anyone around for the walk. Ten minutes passed. Rupa came in and asked if I am for the Bangalore walk. I said ‘yes’ and shared each other’s professional identities. I discovered that Rupa is Arun’s wife, the one behind conceptualization and execution of Bangalore Walks. In the next twenty minutes, one after another dropped in. At 7 we all entered the premises of the Trinity Church. 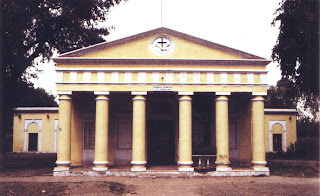 Trinity Church was built in the year 1851 and was dedicated by the then Bishop of Madras. It was ready for worship in the year 1852. 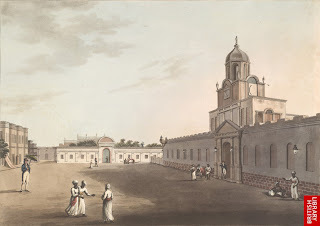 The church was the largest military or garrison church in southern India and could accommodate seven hundred people at a time. 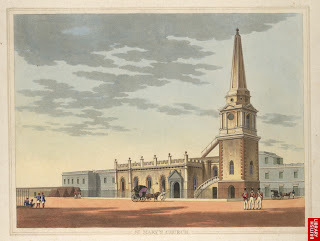 The church had been built to cater to the needs of British regiment stationed in Bangalore. The church possesses beautiful furniture and the great bell of the church was cast in the Mears Foundry of London in 1847. The church has a tall tower and unparalleled pillars, but more than that are the mural tablets and memorials inside – in memory of those who died whilst this unit was in Bangalore. Rupa guided us to the up stair to view the beautiful city of Bangalore. At present, a few Christian Tamil families who live in nearby Ulsoor are worshippers in the church. They worship in Tamil. Outside the façade, Rupa showed us an unusual left out – a slab over which written BL. We wondered what BL could be. It was the baseline for one of the most ambitious projects on mapping India carried out by the British. We walked straight on the M.G. 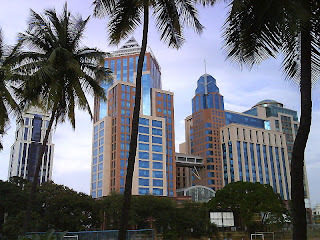 Road, came across a large empty plot, beside the road, surrounded by swanky glass paneled MNC towers. Rupa explained: “similar sized plots were in great demand in Bangalore on those days.” We looked at some old secret remnants of colonial legacy on Bangalore’s posh M.G. Road. One of these is owned by a wealthy Tamil Mudaliar. When the British established their cantonment they also encouraged the wealthy Mudaliars from Madras to settle around the cantonment, to provide services in business on day-to-day basis. There were also need of butchers to supply meat to the British regiment and therefore Muslims also migrated in large numbers and settled in the nearby Shivaji Nagar. Throughout the last two centuries Bangalore’s cantonment and its surroundings have been quite different from the traditional petas of Bangaluru on the other side of the town. “This side has been cosmopolitan through out the last two centuries”, told Rupa. 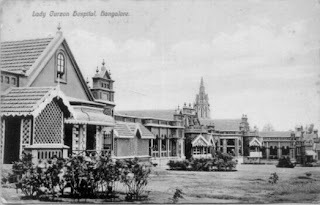 Bangalore’s cantonment area went trough a complete transformation in the second half of the 19th century; a population of nearly 100,000 lived in typical colonial bungalows. Surrounding their settlements also flourished public offices, churches, parks, shops and schools. The remains of colonial houses in Bangalore’s cantonment are a major evidence of 19th century middle class housing, not only in Bangalore but also in the entire country. The cantonment was laid out as gridiron with tree lined streets, regularly divided building plots and bungalows as the main housing type. The design of British bungalows in Bangalore has dual origin – the detached rural Bengal housing setting in its compound (from the word root bangla – from Bengal) and the British sub-urban villa. It was a fusion of these two types. The bungalows also reflected the British hierarchy system, the typical residential bungalows for the wealthy, for example, was set back from the road by a walled compound. The amount of land enclosed was a symbol of status. The bungalows had low classical lines of detailing. The Gothic revival of England brought about a corresponding change in bungalow type – spawning buildings with pitched roofs, and richly carpentered details including the monkey tops. 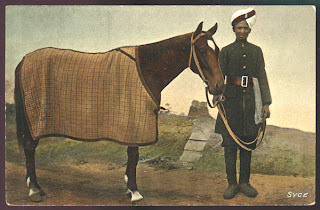 English domestic life in India was full of difficulties. The houses would not have electricity, running water, refrigeration; it would have been open enough for insects, rats, snakes and in remote areas even wild animals to invade. It was found important to send children home to England for schooling, so that family members were separated. There were likely few other Europeans near by, so that people, especially wives with no official work, possibly no children at home, and only a ménage of servants to interact with all day – might feel very isolated. Indeed women also found interests – whether their husband’s work, local charitable pursuits or the outdoor life. 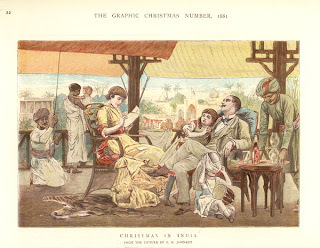 British domestic life in Bangalore was an exception. In 1906, Bangalore became the first Asian city to have electricity. After the plague epidemic in 1898, there was considerable improvement in sanitation and heath facilities developed dramatically. Telephone lines were laid all around. There were schools like St Joseph European High School which was founded in 1865. 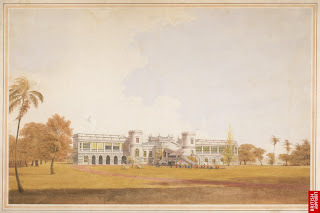 The school offered liberal education to the European and Anglo-Indian families. The native children also enjoyed the liberal English education along with their European counterparts. Above all Bangalore had excellent climate. 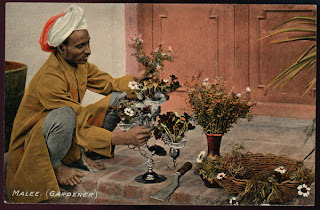 The British also had a rich leisure life in Bangalore. The East Parade Street and the streets like Infantry Road, Brigade Road were the main thoroughfares in this splendid town, always crowded with horse carriages. Hunting in neighbouring landscape was yet another past time activity. A large number of hunter dogs were specially brought to Bangalore for this. Evenings were spent with friends in pubs and parties. 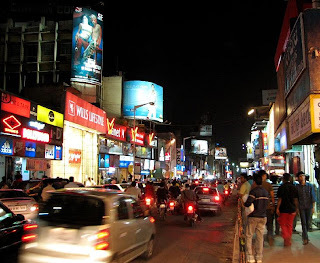 Today, Bangalore is called as the pub capital of India, and its origin can be traced back to the British occupation in the second half of the 19th century. We ended our walk at 10 AM and moved to a terrace restaurant (13th floor) to have a sumptuous breakfast. William Dalrymple called the British who were converted to Islam in 18th century 'White Mughals'. Yet what about the Mughals who became Catholics? In the year 1578, the viceroy in India of the Portuguese King in Goa had sent an ambassador named Antoine Cabral to the court of Emperor Akbar in Agra. When Antoine and his associates were in the royal court, the Emperor closely watched their behaviour and manner, gaining thereby some idea about the Christian religion. Akbar was very impressed. Subsequently the Emperor invited more Catholic fathers from Goa to learn about the principles of the Christian faith. In the writings of Father Pierre Du Jarric, S.J., we come to know that Akbar was even to abandon his Islamic faith at point of time. One evening while conversing with Kazis or Mullas, he told them frankly that he had decided to follow the council of the good priest, and prey to God for light to see the faith, and the path to salvation. At that moment the chief of all the Mullas was present, who said: ‘Your Majesty follow a good law, and has no reason to doubt it or to seek another’. Akbar also desired to know Portuguese to better understand the Christian law. The priest taught him first to pronounce the sweet name of Jesus. The emperor found such a pleasure in this holy word that he repeated it at each step as he walked up and down in his palace. One day, while conversing with the King, the priest told him about some learned holy fathers who lived in the town of Goa, and were spreading the knowledge of Jesus Christ in many parts of India. If the emperor would communicate his doubt to them, he would learn much more from them about the faiths and the Holy Scriptures. This made the emperor very anxious to see and know more about the holy fathers of Goa. He immediately sent a ferman (letter) to the fathers of the company residing at Goa requesting for two fathers to visit his court. Three fathers – the Father Rodolfe Aquauiua, the Father Antoine de Monserrat and the Father Francois Henriques set out from Goa and after passing through many difficulties reached imperial court on 18th February 1580. The moment the emperor heard that they had come, he summoned them to his palace, where he received them with full honour and respect. Three or four days later, the fathers again visited the King, and presented to him all the volumes of the Royal Bible, in four languages, sumptuously bound, and clasped with gold. The emperor received these holy books with great reverence, taking each into hand one after the other and kissing it, after which he placed it on his head to show honour and respect. The fathers also presented to him two beautiful portraits, one representing the Saviour of the World, and the other the glorious Virgin Mary, his holy mother. The emperor took these portraits into his hands with reverence. For a few days the Court frequently witnessed heavy debates between the fathers and the Mullas on disputes relating to both the faiths. 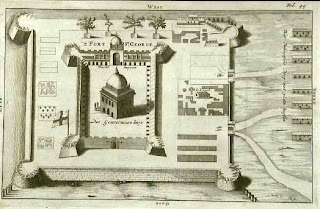 Akbar finally did not show interest in converting, but he did give land to the Jesuits on the outskirts of Agra, near the Armenian settlement, and granted them permission to build a Church. 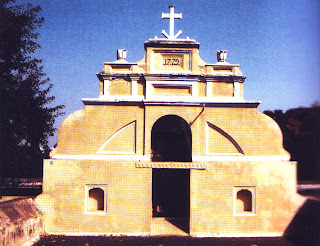 Today, the early seventeenth century church is popularly known as Akbar’s Church. It was constructed in the year 1600 by the Jesuit Father, paid for by the emperor himself. 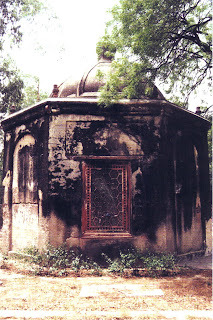 The Jesuits had first built a chapel, but Prince Salim (later emperor Jahangir), donated a thousand crowns to renovate it to appropriate magnificence. Akbar did go to the Church on Christmas morning to see the crib. He arrived in a splendid procession, with drums and music heralding his arrival. Church bells tolled and the choir sang joyous hymns. The priests received him outside the Church, ushering him with censes of incense. In the evening, the ladies of the harem and the younger princes also visited the crib, sometimes carrying candles. Easter festivities acquired local colour in Agra. The Christian community practised Lent rigidly and with great austerity. After eating the traditional lamb on Maunday Thursday, the church bells were muffled till Holy Saturday. On Good Friday, Christians took out an evening procession through the city to the Church. Elements of Mughal pageantry were incorporated, with caparisoned elephants, camels and horses. 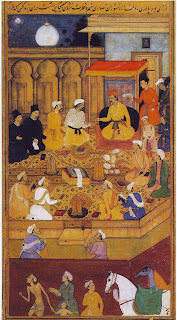 Akbar’s follower Jahangir also enthusiastically supported Akbar’s Church. He permitted the Jesuit priests to preach freely and even to convert. The emperor gave them a monthly stipend of first fifty, and later hundred rupees, with an additional thirty for the upkeep of their church. For a while, Jahangir wore a locket with a picture of Jesus, and sometimes attended - Mass. However, Jahangir was not seriously interested in the teachings of Christ. Although he encouraged the religious debates that his father had initiated, these often degenerated into occasions of raucous laughter and fun. 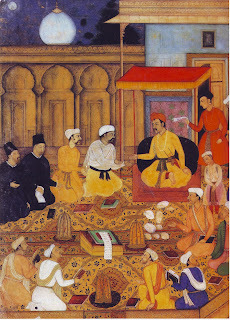 In July 1610, Jesuits arrived to the court of Jahangir. Before a glittering assembly of nobles, Jahangir presented his three nephews, and told the Jesuits to baptize them and bring them up as Christians. The priests were overcome. They had been waiting for years for just such an opportunity. They kneel to their knees and kissed the emperor’s feet. After three months, the good fathers declared that the princes were ready to be baptized. A glittering procession wound through the town from the fort to the church. The three young princes, dressed as Portuguese grandees, with gold crosses around their necks, rode extravagantly caparisoned elephants. 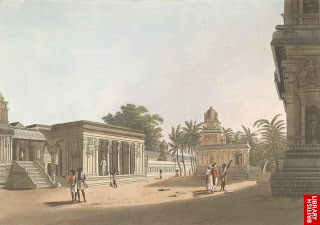 As they approached Akbar’s Church, the bells began to peal. The princes, holding candles, entered through clouds of frankincense, repeating after the priest the vows of baptism in Persian. They were sprinkled with baptimisal water and given Portuguese names. 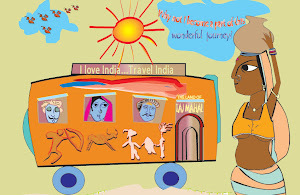 India, owing to its long coastline and vast natural resources have a very old seafaring tradtion, which we come to know through archaeological evidences, depiction of sculptures in temples and monasteries and travelougues, besides folklore, ancient texts and inscriptions. Orissa, on the east coast of India, known for its beautiful temples and Buddhist monasteries, also has a very ancient seafaring tradition. Merchants and traders (sadhavas) from this land sailed through the mighty sea of Bay of Bengal to distant Java and Sumatra to trade throughout the last two millennium. Archaeologists have discovered a range of evidences such as ceramics, and precious stone beads to support their argument on Orissa's rich maritime history. However, Orissa's contact with Africa is not much known from the archaeological sources. 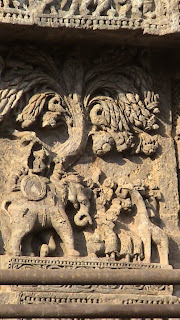 Konark, the epitome of Orissa's temple architecture, however has preserved a unique evidence - depiction of a giraffe in one of its lower panels. 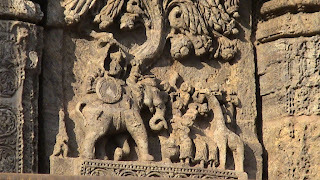 In the panel, the relief shows a king, seated on an elephant, receiving the homage of a group of outlandish men clad in frilled petticoat like lower garments. They have brought gifts for the King, one of which includes a giraffe. East India Company was started in the year 1600 AD in India. 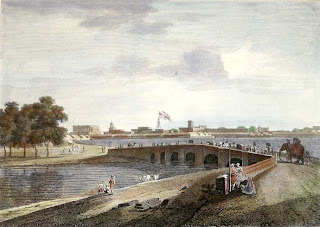 Twelve years later, the British established their first factory at Surat under the protection of the Mughals. 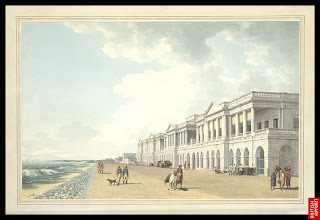 Yet to access the resources of Southeast Asia they needed a base on the east coast, especially on the Coromondel coast, where flourished a thriving textile industry under the patronage of the Nizam of Golkonda. 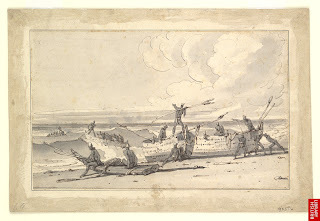 The British first attempted a landing at Pulikat, about 40 km north of modern Chennai, but due to the strong presence of the Dutch, they abandoned their plan. 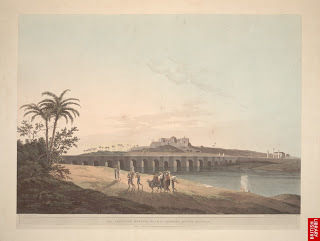 From Pulicat, the British moved to Masulipatnam, the chief port of the Nizam of Golkonda. But the British had to abandon the port and look for a new place. Mr. Francis Day, a member of the Masulipatnam Council made a voyage of exploration in 1637 down the coast as far as Pondicherry with a view to choose a site for a new settlement. At that time the Coromondel coast was ruled under the Rajah of Chandragiri who was a descendent of the famous Rayas of Vijayanagar. Under the Rajah, local chiefs known as Nayak, ruled over different districts. One of these Nayaks was Damalra Venkatapathy Nayak, who ruled all over the coast from Pulikat to the Portuguese settlement of San Thome (a locality in Chennai). His brother Ayyappa Nayak resided at Poonamalle, a few km to the west of Madras, and looked after the affairs of the coast. Ayyapa Nayak had invited Francis Day to choose a site and examine the possibilities of trade there. Day was quite impressed seeing the prospects of the new sight at Madraspattnam. He secured a grant giving over to the English the village of Madraspattnam for a period of two years and empowering them to build a fort and castle at that place. The main problem for the British in that time was however the lack of fund. At last in February 1640, Day and his colleague Cogen, accompanied by a few factors and writers, soldiers, artificers and a Hindu powder maker called Naga Battan, proceeded to Madras and started the English factory on 20th Feb 1640. 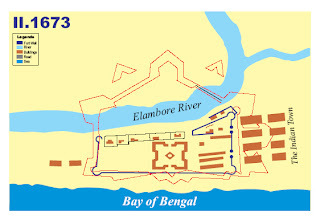 The fort was located within the traditional limit of the village of Madraspattnam. 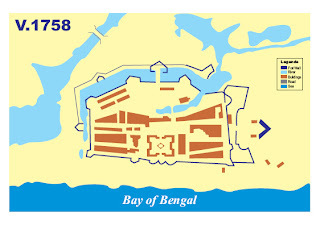 The nucleus area had extended along the coast between the mouth of the Cooum River and the northern end of the present George Town. 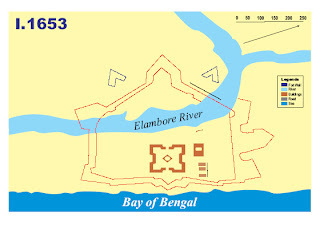 Within this area lay the island and the North River (than called Elambore river), which flowed parallel to the sea along the western side of Madraspattnam village. The two rivers had formed a wide shallow backwater at their joint outlet. 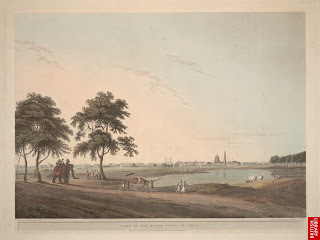 At the point where the North river bent east, there was only a narrow neck of land about 300 yards in length that separated it from Cooum as it curved towards the sea. At this point, the river was artificially bifurcated several years after the foundation of the city to equalize the flood levels. 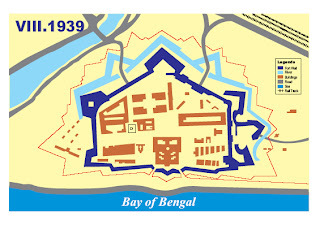 The fort was planned nearly square, with a bastion in each corner and the factory house was in the centre of the fort. It was named Fort St. George. 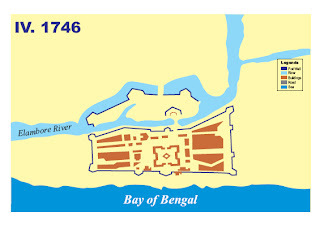 It took 14 years to construct the fort and was finished only in 1653. The Fort St. George was essentially a trading post in its earlier days. 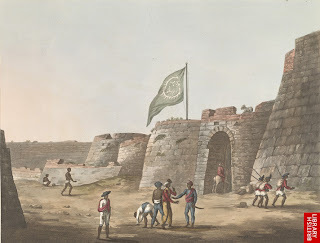 The motive of its founder, i.e., the East India Company was profit rather than glory and therefore the Fort St. George never matched in aesthetic with other well-known forts of the Subcontinent such as the Golkonda Fort or the Red Fort. 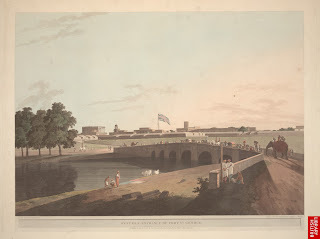 According to the reports of the East India Company, some of the governors and founders had been heavily charged due to their creative ambition towards beautifying the fort. Andrew Cogan for example, a co-founder of the fort was summoned by the company in 1645 to answer the charge that he had extravagantly and irresponsibly built Fort St. George at a time when the Company’s stock was so small. 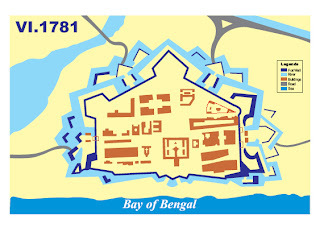 Defence was of paramount importance because the fort was surrounded by hostile local powers on the one hand and by the European rivals on the other. In Europe, when the impregnable character of medieval castles began to be undermined by the arrival of gunpowder, a series of brilliant innovations were carried out in defence fortifications. 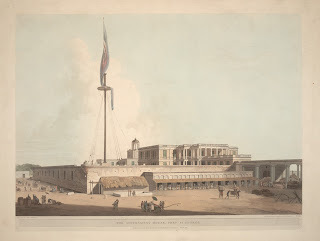 The British had brought those innovations in the fort building for the first time in India. In Fort St. George, the inner fort, work on which was entrusted to local labourer under British supervision, extended 108 yards east to west. Constructed as a simple rectangle or tetragon, it had an ‘arrowhead’ bastion at each corner. 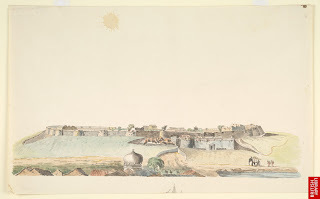 As early as 1644, the governor, Thomas Ivie, had written to the company expressing his confidence that when the fort was finished “wee nee not feare inland Enemy neare unto us in these ports’, a confidence vindicated when the Mughal governor Mir Jumla’s attack was successfully repulsed. By 1659, the inner fort was further strengthened by an artwork with bastions at four corners while the European part was walled up in the next two years. Dr. Fryer, a visitor in 1673 provided the most celebrated account of the early years of Fort St. George. In his account: the governor’s mansion was built at an angle to the inner bastions in order to deflect cannon fire. The second defensive feature was to restrict the height of the houses inside the citadel so that they were not an easy target for enemy fire. The outwork was walled with stone of good height, to blunt a canon bullet. 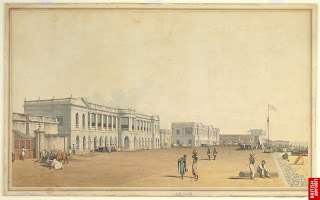 Thomas Pitt was appointed as the governor of Madras in 1710. 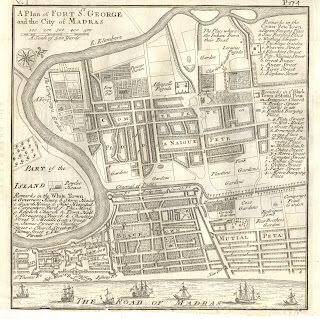 In a map of 1710, a comprehensive view of the town, showing rustications of the artworks, give enough hints about the nature and foundation of defence in Fort St. George. Pitt brought to completion the early fortifications by enclosing the Black Town with a strong wall to counter the threat from a local ruler, a system that lasted until 1742. 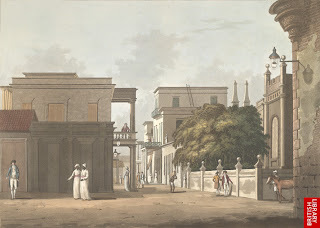 Indian merchants and artificers were attracted to the settlement and encouraged to build houses therein under a promise of exemptions from import taxes for a period of thirty years. Within the first period of settlement, there arose some seventy to eighty large houses to north and south of the fort, within the village of Madraspattnam nearly four hundred families of weavers had come to settle permanently. 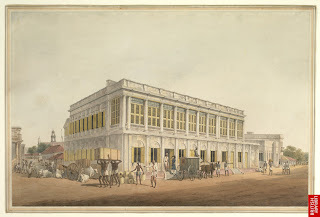 The presence in Madras of members of the Tamil weaving caste, who produced the essential export commodity - textiles and chintz, was vital to the existence of the East India Company. 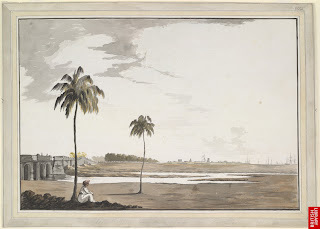 Following is an interesting account about the Tamil weavers of early Madras, found mentioned in Surat letters to the East India Company – Vestiges of Old Madras. …now the building is in great forwardness, and 3 or 400 families of weavers, Painters and other Artificers come to live under your protection. So that it is become a place of great hopes, hence you may acquire yearly very great quantities of long Cloth for England…The other conveniences and profits that may from this Fort accrue to you … will deserve your consideration (29 December 1640). 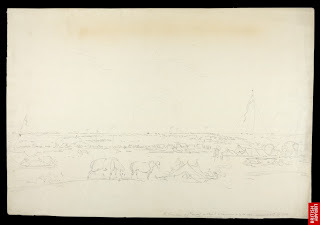 Now the greatest part of them (walls) are finished, and may happily stand to do good service; for, without such defensible places, your goods and Servants among such treacherous people are in Continuall hazard…in those parts abundance of good and good cheape Cloth is said to be procurable…the effort is Conveniently enough scited (27 January 1641/2). Besides weavers, there were also a substantial other Indian communities who lived in early Madras. Local architects and masons played a significant role in the establishment of the early British settlement. 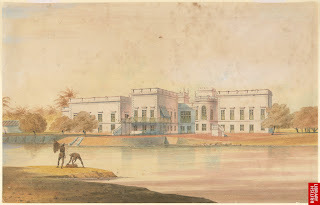 While the main planner or architect in Madras was British – this task usually falling to the ship’s gunner on account of his technical expertise – the masons and builders were without exceptions local. Fort St. George to Company, 1 November 1677, mentions Muttamara, the chief carpenter, and Nallana, the chief bricklayer. To the north of Fort St. George is the George Town, a bustling commercial area of modern day Chennai. George Town has a history going back to the early years of Fort St George. Earlier, it was called ‘Black Town’. 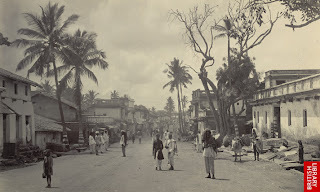 Initially it was essentially a settlement of dyers and weavers, and called also Chennapattanam by the native settlers. In 1746, the British fought a war against the French. 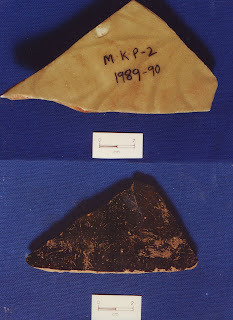 As a result, a large part of the Black Town was severely damaged. 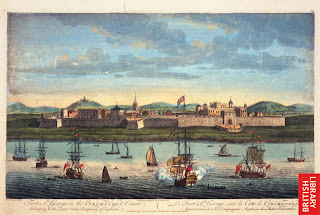 When the British recovered from the seize of Fort St. George by de Lally’s French forces, a decision was made to create an open esplanade, extending 400 yards northwards from the walls of the fort and providing a clear field of fire, they razed Black Town. Army engineers like Call, Ross and Benfield worked in the post-war period of mid 18th century on a gridded layout town. 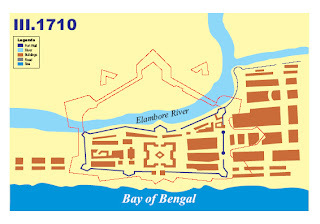 Indian homes with courtyards occupied its northern half and were protected by a massive town wall. The southern boundary was named Esplanade Road, and Rattan Bazaar, Evening Bazaar and China Bazaar occupied long stretches of its northern edge. North of them were the homes of the European subordinate staff, as well as those of non-British (like the Portuguese, Armenians and Jews) and the wealthier Eurasians. Over an area of 850 acres which comprised of Black Town had shrines of all faiths, reflecting the religious harmony of the settlement. The first were the Hindu temples built between the year 1640 and 1680 by the leading merchants, most of whom were the middlemen of British merchants and business houses. 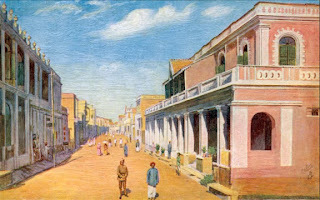 Street after street in the central part of Black Town was occupied by settlers from Saurashtra and Rajasthan. The area even today is known as Sowcarpet, where one can find celebration of festivals – Diwali, Holi and Ganesh Puja in the north Indian manner. The first Jain temples were built in the 18th century. Moor Street is the name reflecting the settlement of early Muslim communities. The first mosque in Black Town was built here in the 1670s. Today’s Coral Merchant Street was once been a synagogue, where the Portuguese Jews who dominated this street in the 17th and 18th centuries worshipped. Though the Jewish presence is no longer here, the Armenian Church remains a magnificent relic. Where the Portuguese, Indians, Armenians and a great variety of other people inhabit…is built in the form of a square…better than a mole and a half in circumference, being surrounded by a brick wall of seventeen feet thick…The Streets of Black Town are wide, and trees planted on some of them; and having the sea on one side of a river on the other, there are a few towns so pleasantly situated or better supplied; but except some brick houses the rest are miserable cottages, built with clay and thatched and not So much as a window to be seen on the outside…but I must say not withstanding all this appearance of poverty, I never was in a place where wealth abounded more, or where ready money was more plentiful about 20 years ago…Beyond the Black Town are gardens for half a mile together planted with mangoes, coconuts, guavoes, oranges…where everybody has a liberty of walking and many purchases the most delicious fruits for a trifle. 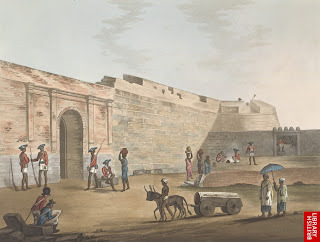 Invasion of Madras by the French in 1740s had crucially exposed the weakness of the early fortress system. After the French invasion, F.C. 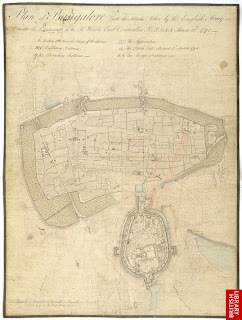 Scott was appointed as the Engineer general to modernise defence by redesigning the fort in 1753. It was however finally completed in 1770 by Patrick Ross. The fortress adopted a tenailled (serrated) semi octagon, with a complex series of bastions, glacis, ravelins, and other devices to stagger and dissipate sustained gunfire. On the second of May 1670 we anchored before Madras. I had an extraordinary desire to be ashore. A Portuguese came aboard, and I got into the boat that brought him, so did others. Those are very odd boats, they have no nails or pins, but the boards are sewed together with ropes made of Coco outward shells, and tho the infidels assured us they were safe, yet we could not but be in great fear. When they come towards the shore, they take the surges, which drive them up so that we step out of the boat upon the dry sand. Thousands of souls waited there to know the ship, and who came aboard it. I went immediately to the church of the French capuchins, who resided there, to give God thanks for having delivered us from the Sea. When we came to this place, we found it besieged by the king of Golkonda’s army, but without his orders; their design was to extort something from the English, but they were disappointed. It is on the coast of Coromandel, half a league short of the city of S. Thomas, otherwise called Meliapor. 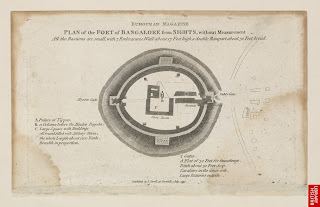 Here the English have a noble fort; they have other walls but small, within which live all the Portuguese, who after the losing of Jafanapatan, Nagapatan, and S. Thomas, went to seek places to dwell. The English received them, and they live under their protection and government. They stand the English in stead, for upon occasion they make use of them, as they did at this time, when all men took arms and guarded the walls. The enemy had stopped all the avenues, so that provisions grew scarce. There is neither port nor water, this last they get out of some small wells they have dig’d. Ships lie safe six months, then they go away till the fair weather comes again. The English allow a public Church, kept by two French capuchins, and tho there are several clergy-men, they all have to say mass there, with no small subjection and dissatisfaction; but the English who are Masters there, favouring the religious men, they must have patience per force. It is about twelve or thirteen degrees of north latitude, and an excellent climate, any nice man may live there; the convenience of buying cloths is great, all those people living upon it. At last ninety days after leaving Falmouth, I was summoned on deck at five o'clock in the morning of Tuesday June the 10th, to see Madras. Since we lost sight of the Lizard, I had never looked on any land except the blue outline of the mountains of Ceylon. There was Madras lying close to the sea like Brighton, and we were anchoring about a mile or a mile and a half from the town. The effect was very striking, --great, white, masses of buildings scattered amidst a rich profusion of deep dark varnished green. The sun was just about to rise. The town was quite still, and for some time we saw no signs of life. At last a catamaran was discernible amidst the waves. Do you know what a catamaran is? It is simply a raft composed by tying two or three long pieces of wood together. On these rafts the fishermen of Madras venture on the sea in all weathers, in defiance of winds, waves, and sharks. The appearance of the little black boatman beating the water with his paddle, and seeming as familiar to the element as a duck, was the first glimpse that I caught of the people among whom I am to live. He came on board with nothing on him but a pointed yellow cap, and walked among us with a self-possession and civility which, coupled with his colour and his nakedness, nearly made me die of laughing. In the meantime we had given notice by signals of the name of our ship, and soon boats arrived from a frigate which lay in the roads [=a bit offshore], and from the shore. I now learned that I had been very impatiently expected. I can give you no idea of the bewildering effect of this our first introduction to a new world. To be on land after being three months at sea is of itself a great change: --but to be in such a land-- nothing but dark faces and bodies with white turbans and flowing robes, --the trees not our trees, --the very smell of the atmosphere like that of a hothouse, --the architecture as strange as the vegetation. I was quite stunned. On we drove, however. Our very equipage, though English built, was new in form and fitting up. There was a window behind to give us a thorough draught of air. There was an oilcloth below, because a carpet or rug would have been too hot; --and at each door trotted a boy in an oriental costume of scarlet and gold. These boys run by the side of a carriage without being distressed for fourteen or fifteen miles at a time. At last we came to the government house. As we drove up the Seapoys on guard presented arms; and when we stopped under the portico, a crowd of figures with beards, turbans, and robes of white muslin came to receive us, and to conduct us to our apartments. Captain Barron and his wife, a very kind and agreeable young woman, represented our absent host and hostess. Each of us was provided with a sitting room, a bed room, a dressing room, and a bathroom. My man was lodged near me, and Hannah's maid close to her. 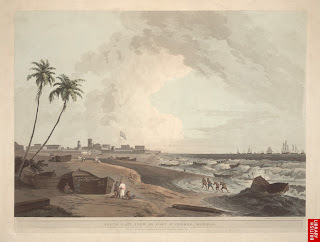 [By] half after four or five.... the sea-breeze is generally coming in: and the good people of Madras take their airings. I go out in a carriage for two hours with Captain Barron. Hannah goes in another with the lady. We drive through different parts of Madras and its environs, and come back at about seven. The drives are very pleasant, particularly when the sea-breeze is blowing. For some miles round the whole country is a garden. 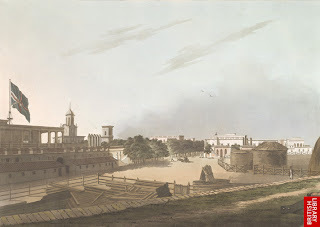 The English at Madras have only their offices within the walls of the fortification. They live in villas which stretch far into the country on every side. Each villa is surrounded by a pleasure ground of some acres, which is here called a compound. 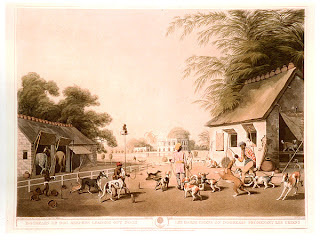 The roads are bordered with rich tropical vegetation, and crowded by an innumerable swarm of natives, some walking, some riding, some in carts drawn by bullocks. Every here and there you come to a native village or town. From what I have yet seen I should say that these are much on an equality with the villages of Wales and Scotland-- Llanrwst for example, or Laidler-- two which I particularly remember. They consist of low whitewashed huts of one story with [a] projecting roof which forms a sort of piazza in front of the dwellings. There are some signs that the people in these huts have more than the mere necessaries of life. The timber over the door is generally carved, and sometimes with a taste and skill that reminded me of the wood-work of some of our fine Gothic Chapels and Cathedrals. The crowd and noise in the streets is prodigious during business hours. But if you pass late at night, the people are sleeping before their doors on the ground by hundreds, with scarcely any covering. Indeed they need none in this climate. Perhaps no other city has made such significant contribution towards women empowerment and education. As you walk past the exquisite architectural wonders of Ahmedabad, you will come across the amalgamation of varied cultures: the Juma Masjid, for instance: it was the first in the world to allow women to pray at a mosque. TAJ MAHAL - THE SEVENTH WONDER! I asked a young man in a ghetto in Agra if he had ever seen the Taj Mahal. "Taj Mahal?" he said. "I haven't seen it, but yes, I have heard of it. It is in Delhi." Islam in India was spread much less by the sword then by the Sufis. 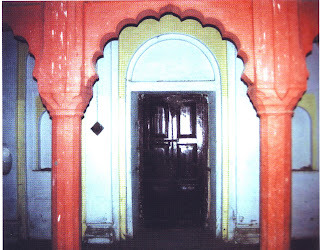 After all Sufism with its holy men, visions and miracles, and its emphasis on indivisual search for union with god, has always borne remarkable similaraities to the mystrical side of Hinduism.Under Sufi influence it was particularly at the level of village folk worship that the two religions fused into one, with many ordinary Hindus visting the graves of Sufi Pirs, while Muslim villagers would leave offering at temples to ensure the birth of children and good harvests. Ghalib wrote praising Benaras as the Mecca of India saying that he could "renounce the faith, take the Hindu rosary in hand, and tie a sacred thread around my waist".